Editor’s Note: The following is a guest post from my talented wife, Erin Brooks. Do go check out her blog where she writes a good deal about her amazing photography. This bag was provided to us free of charge for the purpose of review and feedback. 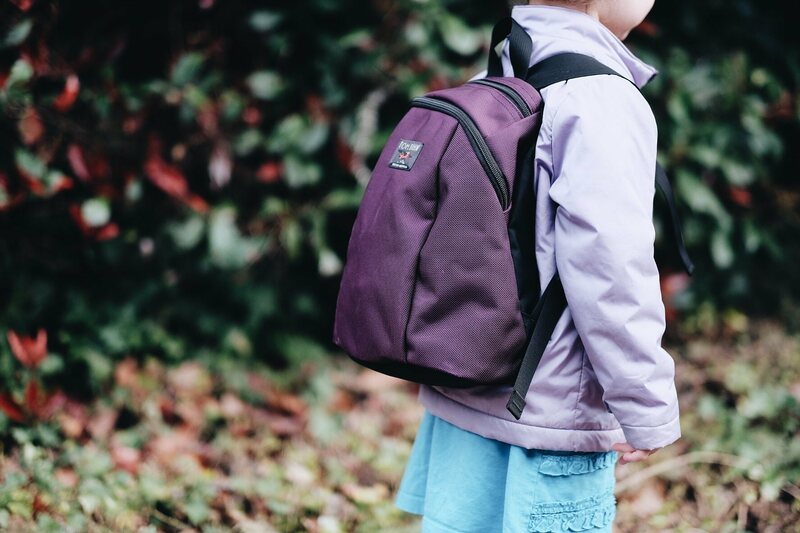 When we sought a backpack for Sloane, our almost-4-year-old daughter, we wanted a durable bag. There are plenty of backpacks available, but many wouldn’t last more than one school year, if that. 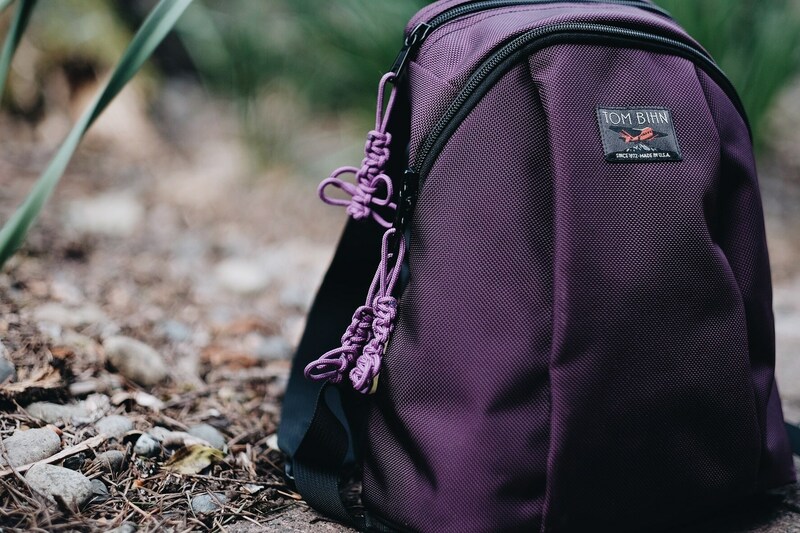 Luckily, our friends at Tom Bihn let us know they were trying out a new backpack for kids, and we jumped at the chance to give it a whirl. 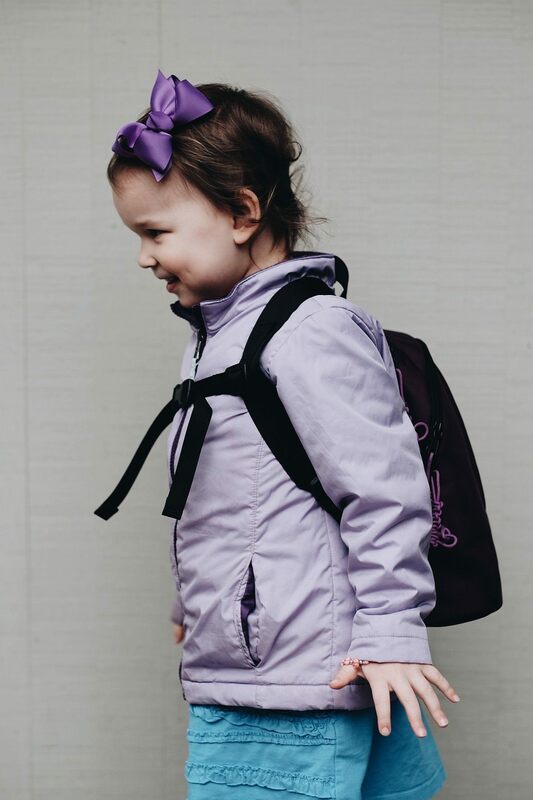 The first version of the Sprout backpack was her favorite color, purple (aubergine), and perfect in size, but Sloane had one recommendation: it needed a sternum strap. The final version of the Sprout has the sternum strap Sloane loves so much, and it’s a great little bag. 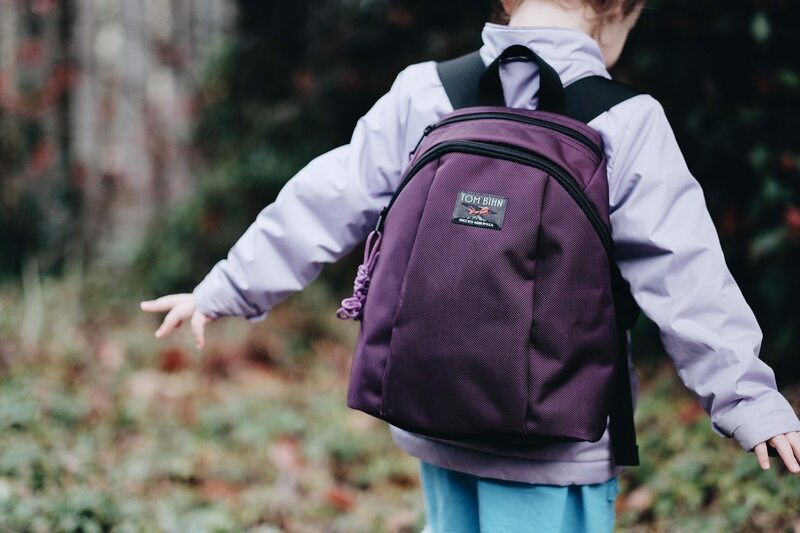 It is lightweight enough for her small, growing shoulders, with plenty of space inside the zipped main compartment to hold her school supplies, take-home papers, and a change of clothes. 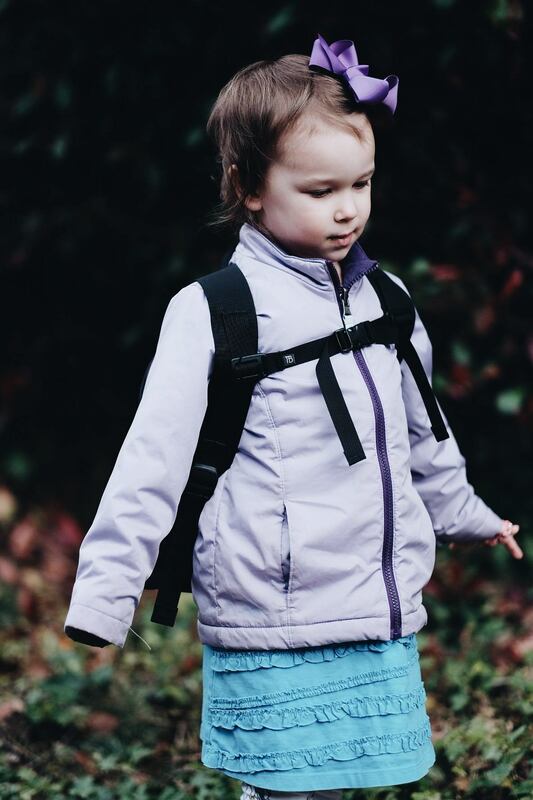 The main compartment has internal side pockets in varying sizes to keep everything organized, and it’s all made of a very easy to wipe out material—crucial when dealing with a preschooler. It’s also got a little zipper compartment on the top, behind the main compartment’s zipper, for small effects. It’s got nice, wide, adjustable shoulder straps that stay put, probably helped by that favored sternum strap. The cutest part, in my opinion, are the dragonfly zipper pulls, which are a fun and creative touch. Erin: Hey Sloane, do you like your backpack? E: What is your favorite thing about it? S: That it holds a lot of stuff. It holds clothes, hats, and pants, and shirt, and a sweatshirt, and socks, and a bow, and school stuff. E: How does it feel when you’re wearing it? S: It feels great. It feels smooth on my back, and peaceful. The chest clip makes it feel like it holds you. It’s more secure—that’s what I mean. E: Is it ever too heavy? E: What do you think about the color? S: I like the color, but I want a little pink. They can’t make pink, but I love this backpack more than other backpacks, and I’m never giving it away. 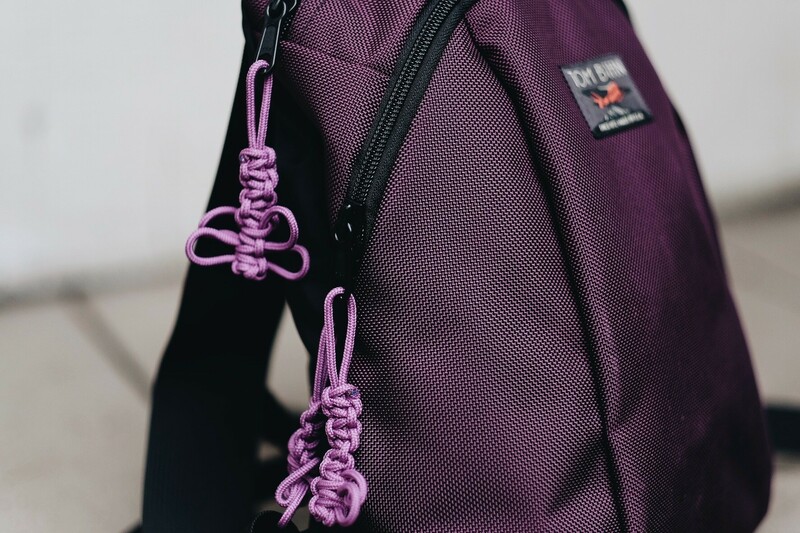 E: What do you think about the dragonfly zipper pulls? S: They’re great, and I like them. No one else has them on their backpacks. E: How is the size? Is it too big, too small, or just right? E: Would you like to tell me anything else about this backpack? E: Do you think other kids would like to have this backpack too? S: Yes. They would like the dragonfly pull zippers, like me. They would like the chest clip, and the color. As her mom who packs her bag, I concur with her that it’s such a great fit, for both of us. I’m able to get a lot in there, keep it organized, and leave room for her to bring things home from school, too. It also can get folded and bent all around, and never loses its shape. Other backpacks have padding inside or other features, that aren’t able to take as much of a beating and remain so perfectly intact. When trying to think about a feature I wish it had that it doesn’t, or anything about it I might change, I come up empty-handed. You can buy the Sprout from Tom Bihn here. This is the best kids backpack I have seen, and believe me, I have looked.